Each commune has its own weekly market, generally taking place from 8am to 1pm, these are more frequent during summer. Wandering in the alleys, choosing your products, exploring a little corner of France and awakening your senses. The Farmers Markets, seasonal and at times nocturnal, they create a friendly atmosphere and an authenticity experience. Colourful, the markets gather all the flavours and local products of Béarn. Find all the best addresses of the regional markets by town below. 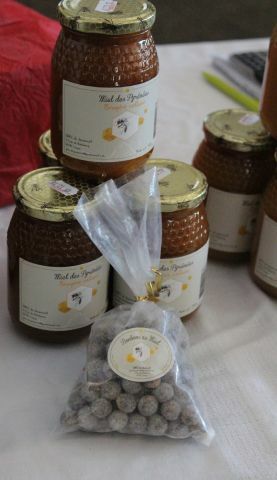 Discover new products, share your thoughts with the local producers and let yourself be tempted by the flavours of Béarn. 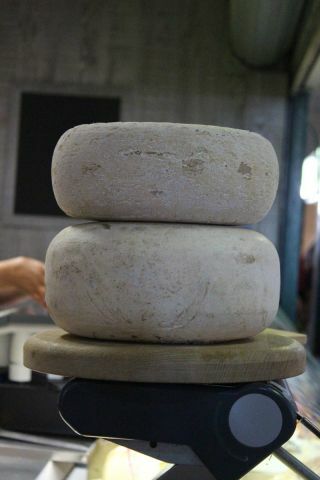 The best and freshest products of Béarn on your plate! - Navarrenx, every Wednesday and Sunday morning (from June to September). - Puyoô, every Friday night (from May to end of September). - Salies-de-Béarn, every Thursday and Saturday morning. - Sauveterre-de-Béarn, every Wednesday morning (from June to September) and every Saturday morning the rest of the year. - Monein, every Monday morning. - Mourenx, every Wednesday and Saturday morning. - Pau, every Wednesday, Saturday and Sunday morning, Place du Foirail and every day (except Sunday and Bank Holidays), Halles and Place de la République. - Morlaas, every Friday morning (fortnightly) and every Saturday morning. 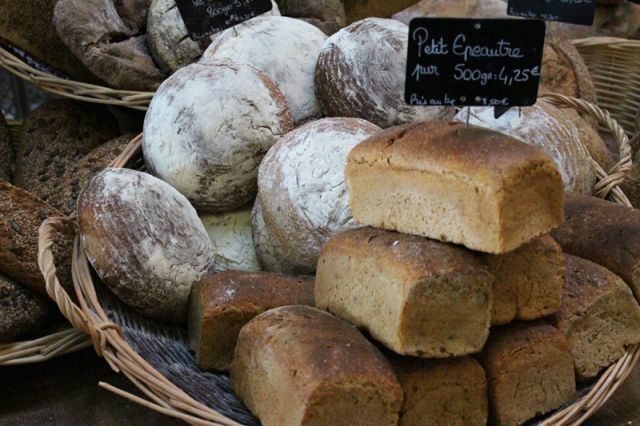 - Morlanne, every Thursday from 4pm (every last Thursday of the month, demonstration of bread oven cooking). - Arzacq, every Saturday morning (every other week). - Jurançon, every Friday morning. - Billère, every Saturday morning. - Garlin, every Wednesday morning (Fortnightly). - Sauvagnon, every Sunday morning. - Serres-Castet, every Saturday morning. - Laruns, every Saturday morning and every Thursday evening (in July and in August). - Louvie-Juzon, every Wednesday morning. - Mauléon, every Tuesday and Saturday morning. - Montardon, every Saturday morning. - Ogeu-les-Bains, every Wednesday morning. - Soumoulou, Friday morning (Fortnightly). - Arudy, every Tuesday and Saturday morning. - Pontacq, every Saturday morning. 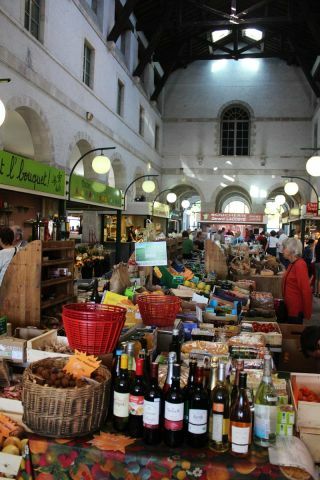 The “Marchés des Producteurs de Pays” (Farmers Markets) in Béarn guarantee produce goes directly from the producer to the consumer, with the added bonus of a friendly welcome. Reserved exclusively for farm producers or artisans, Marchés des Producteurs de Pays are warm-hearted and lively places that promote the richness and the diversity of our home produce. 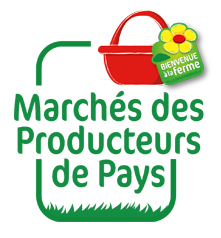 The Marchés des Producteurs de Pays are easy to spot thanks to their unique logo and clear branding which only they can display. 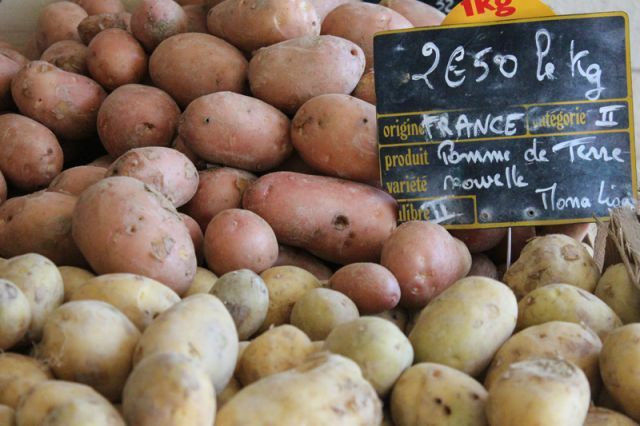 The Marchés des Producteurs de Pays are regulated by a charter, which requires that products on the market come directly, and exclusively from local farmers. Pouey de Lescar, 23rd June 2017, Place Publique, from 6pm to 11pm. Gelos, 24th June 2017, Stade de Gelos, from 6pm to 11pm. Mourrenx, 29th June 2017, Place du Béarn, from 6pm to 11pm. Jurançon, 30th June 2017, Place du Junqué, from 6pm to 11pm. Artiguelouve, 7th July 2017, Place du Village, from 6pm to 11pm. Carresse-Cassaber, 8th July 2017, Place du Fronton, from 6pm to 11pm. Lons, 13th July 2017, Place de la Mairie, from 6pm to 11pm. Oloron, 19th July 2017, Jardin Public, from 6pm to 11pm. Sauveterre-de-Béarn, 21st July 2017, Esplanade de la Mairie, from 6pm to 11pm. Nay, 27th July 2017, Place de la République, from 6pm to 11pm. Navarrenx, 28th July 2017, Place du Marché, from 6pm to 11pm. Orthez, 3rd August 2017, Place d'Armes, from 6pm to 11pm. Lestelle-Bétharram, 5th August 2017, Place Saint Jean, from 6pm to 11pm. Arudy, 9 August 2017, Place de la Mairie, from 6pm to 11pm. Asson, 17 August 2017, Place Henri Lacabanne, from 6pm to 11pm. Monein, 24th August 2017, Place du Village, from 6pm to 11pm. Morlaas, 2th September 2017, Place Sainte Foy, from 6pm to 11pm. Arbus, 8th September 2017, Parvis de la Mairie, from 6pm to 11pm. Arthez-de-Béarn, 8th September 2017, Place du Palais, from 6pm to 11pm.